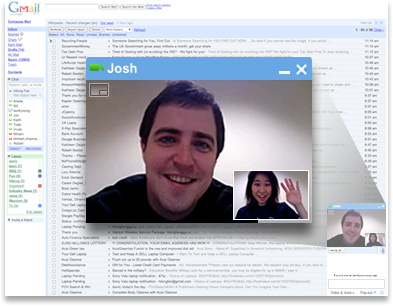 Google team recently added Voice and Video chat feature to Gmail that can maximize the potential of its users . You can see a “video and more” link on your Gmail account (Make sure that your in the standard view) . There are options on that link to choose video or audio chat . The height,width and position of the chat window can be adjusted manually . Here , you need to download a simple plugin (an executable file)to make this working . Installation is online and your browser should be restarted after completion .